What to make of the tweet from an Israeli academic regarding the manipulation of the Turkish Lira? Be sure to share some thoughts! I have to assume that Cohen is referring to the Rothschild Family- Rothschild's being quite the supporters of of Israel. "It all happened over 100 years ago in 1909 when Tel Aviv was founded on the shore of the Mediterranean Sea. Around 66 founding families decided to participate in a lottery. Each would chose a shell with plot numbers etched inside to determine their plot of land. They began to build their homes. A draining system was built on top of sand dunes to drain the small wadi. They decided to construct on both sides of the street, leaving the center for pedestrians, therefore creating the city’s first boulevard. Originally named Rehov Ha’Am, meaning the street of the people, in 1910 it was changed to Rothschild Boulevard, in honor of philanthropist Baron de Rothschild. "There are lots of museums to check out right along the boulevard. The Haganah Museum has an impressive collection of weapons, documents, and photographs from the Haganah archives and is located in a house once owned by Eliyahu Golomb, one of the founders of the Haganah"
Rothschild Boulevard holds many of Tel Aviv’s iconic monuments. Independence Hall is located right on the boulevard. This is the site where Israel’s first Prime Minister, David Ben Gurion, declared the establishment of the State of Israel in 1948. Rothschild Blvd is named in 1910, and it's right there on the street named after Israel's benefactor, that David Ben Gurion declares the establishment of Israel 38 years later. Doubtful that's a coincidence. "“Does terrorism work?” asks Bruce Hoffman on the first page of Anonymous Soldiers: The Struggle for Israel, 1917-1947, his riveting and deeply researched new history; and the answer, in this case, would seem to be yes. Of course, there were many factors leading to the creation of the State of Israel in 1948. The British Empire was on the decline everywhere, as the crushing economic toll of World War II forced Britain to curtail its overseas commitments. The Holocaust had created sympathy for the Zionist cause, above all in the United States, which kept up a continual pressure on Britain to admit Jewish refugees to Palestine. Most important of all, perhaps, the Jews of the Yishuv—the prestate settlement in Palestine—had created the infrastructure for a state, complete with an illegal but tacitly tolerated army, the Haganah." The prestate 'settlement' in Palestine had somehow magically created the infrastructure for a yet to come state via a terror army and perhaps funding from a generous benefactor? Keeping in mind the above quoted paragraph is from Tablet Magazine (Jewishcentric) - calling Haganah an illegal but tacitly tolerated "army" Reality? Terrorists. Sanctioned by a fledgling terror state. No different then Kosovo. 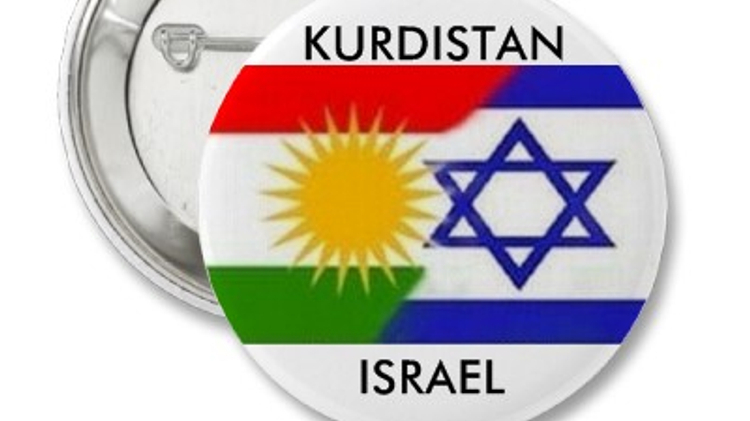 No different then the planned for terror state Kurdistan aka Israel 2.0. Get rid of Alexa and all others like it. I'd seen the news regarding this incident. Make no mistake this is exactly the point of Alexa. I've one article saved that I will post below the James Corbett video. Along with relinking another recent post on this very topic describing how your in home, payed for by you, spy bot can be controlled by others. Don't believe the spin about inadvertent- These devices are there to record everything in your home- Everything. "Amazon is trying to brush the story off as “hey, that’s weird!” and in isolation, this bug doesn’t seem all that serious. But what this story reveals is how little we actually know about our smart speakers, what they’re recording that they shouldn’t be, and how often they listen in on conversations that they shouldn’t. Nowhere in there is any data on how often things like this happen. Amazon, Google, and Apple don’t offer any data on false positives for its always-listening smart speakers, which is a terrifying prospect for our privacy. We’ve let always-on devices into our homes because we’ve been repeatedly promised that they’re not listening until they hear a “wake word,” like an obedient butler standing discreetly outside the room until summoned. But as this event shows, we don’t really have a handle on what they’re listening to. Last October, an Android Police blogger found that his Google Home Mini was recording nearly everything he said and uploading it to Google’s servers, something he wouldn’t ever have known about if he wasn’t checking the activity log for his device. We don’t have any data on how often these kinds of false positives happen, and the mere fact that they can should be cause for concern. Sure, you can manually use the mute switch on most devices to physically disable the microphone, but I think the common assumption with these devices is that they’re not listening until triggered, rather than that they’re always listening, but only sometimes choose to act on your words. These devices are always listening, collecting data, on you and yours and sending it back to the 'mothership'. You are willfully and intentionally allowing this to happen. Please stop feeding the machine. Opt out. So is Putin helping Erdogan with the upcoming election with this deal? Maybe a duo back washing for both parties since Turkey is purchasing the S-400? I think there is some of the above mentioned cooperation going on. Perhaps some economic help since the west has been playing hardball with Turkey for some time now. "President Recep Tayyip Erdoğan on Saturday said Ankara and Moscow reached an agreement to reduce the price of the natural gas imported from Russia by 10.25 percent after long negotiations. 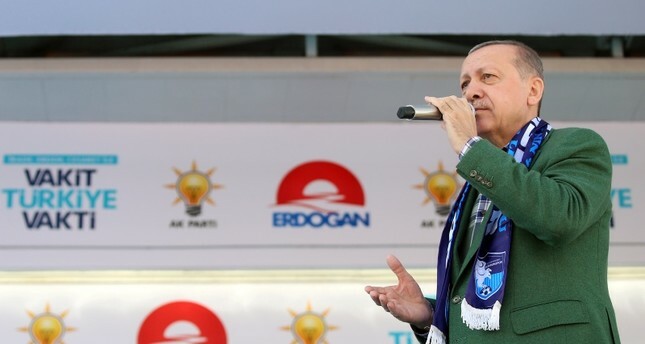 Speaking at a rally of the ruling Justice And Development Party (AK Party) in eastern Erzurum province, Erdoğan said Turkey demanded a discount on the price of the natural gas from Russia via the Blue Stream and the Western Line in 2015. The President said Turkey will also get a refund of $1 billion for the purchases made in the last two years when Gazprom initially agreed on the discount in early 2016. Gazprom later on unilaterally canceled the 10.25 percent discount applied to natural gas and Turkey applied to the international court of arbitration to resolve the dispute. Turkey, the second biggest consumer of Russian gas after Germany, imports around 30 billion cubic meters of gas from Russia annually via the two pipelines." Last week I was saying to my husband, it doesn't make sense that the nation state of Turkey would shoot down the plane, for the most obvious, simple, plain, common sense reason, Turkey is very reliant or dependent on Russia for it's energy needs! If oil was a consideration for the Turkish authorities in their decision to shoot down a Russian jet, they would have had good reason to hold fire. Of course the Russian jet was shot down by the Turkish military heavily embedded with NATO prior to the coup- because it made ZERO sense for Turkey the nation state to engage in behaviour that was against their own interest- A point made repeatedly here by yours truly! Daily Sabah continues: "The private sector in Turkey imports 10 billion cubic meters (bcm) of natural gas per year, representing over 30 percent of Russia's gas exports to Turkey. Out of 48 bcm, 38 bcm was imported by the state-owned crude oil and natural gas pipeline and trading company, BOTAŞ"
"More than 50 % of the construction pipeline that will supply Turkey with Russian natural gas under the Turkish Stream project has been completed"
From 2016: Who Suffers From Russia, Turkey Pipeline Deal? So making the deal with Turkey makes life tough for Ukraine- I'm sure Putin has thought about that! Putin did not use the word "bully" I did for my headline, cause I like it! Russian President Vladimir Putin has lashed out at the United States for pushing NATO member Turkey into abandoning its decision to purchase S-400 surface-to-air missile systems from Russia, saying the US pressure will not produce any results. "Turkey, a NATO ally, has decided to buy the world’s most advanced air defense system in its class, the S-400. So what? Why is it a crime?" Putin said at a meeting with global news agencies in St. Petersburg on Friday. "I am having a hard time to explain this pressure. Such attitude against Turkey is unfair," Putin said, adding, however, that Turkish President Recep Tayyip Erdogan would not yield to Washington’s pressure. "As well as I know President Recep Tayyip Erdogan it is quite difficult to get any results by using pressure tools towards him. On the contrary, this will encourage Mr. Erdogan, and he will not make compromises while protecting national interests," said Putin. There is more in the linked article from Pompeo- but, I’ll save that for a post on that topic alone. Damascus-Gaziantep Road … Restoring Relations or Economic Interests? Ambiguity continues surrounding the outcomes of the most recent session of Astana talks which were held last week, especially with regards to the opening of two strategic roads — the first being the Aleppo-Damascus road, and the second being the Aleppo-Gaziantep road into Turkey, which passes through areas in northern Aleppo that are under rebel control. Leaks from the Astana talks, between guarantor nations in Syria (Russia, Turkey and Iran), show that questions surround how the roads would be secured and the extent of economic interest for the conflicting parties; whether it will be in the interest of the regime and the opposition or for Turkey, who the administrating force in northern Syria. There had been no official statements about this issue at the time this report was prepared, and there were also no movements on the ground. The Aleppo-Damascus road has been closed since 2012 as a result of rebel groups taking over eastern Ghouta in Damascus and the Homs countryside, as well as sections of the road in Idleb and the Hama countryside. The regime and Russia have tried repeatedly to open it through negotiations with rebel groups but to no avail. However, last month, Assad’s forces were able to open the road in Harasta north of Damascus and in the northern Homs countryside after rebel groups agreed to leave for northern Syria. Only a portion of the road now passes through opposition territories in Idleb, starting from the city of Murak in the northern Hama countryside. This section of road will be patrolled by Russia, Turkey and Iran and ten kilometers on each side of the road will be fully secured according to Ibrahim al-Idlebi, a military adviser in the Free Syrian Army. The highway is a major strategic route that connects the political capital, Damascus, and the country’s southern region to the north and the economic capital, Aleppo. Its restoration would have economic benefits for the Syrian regime, in addition to the major benefits that it would have for citizens in that it would reduce the price of foodstuffs and goods because of the ease of transporting them between Damascus and Aleppo. Previously they had been arriving on the unsafe Athriya-Khanasar road which required more time and led to higher prices for goods. The second route which has been discussed is the Aleppo-Gaziantep road which passes from Aleppo into the northern countryside of Afrin province, which is controlled by rebel groups backed by Turkey, following Operation Olive Branch, then reaches Azaz and from there goes into Turkey through the Bab al-Salama border crossing. If there is an agreement to open the road, Turkey will be responsible for securing it from their borders, passing through the opposition areas and up to the al-Lermoun roundabout area north of Aleppo, before Russian police take on the task of monitoring it inside the city. A researcher at the Syrian Economic Forum, Melham Jazmati, told Enab Baladi that the strategic road was an essential artery for commercial traffic between Syria and Turkey before the revolution, especially after the free trade agreement between the two countries in 2004, which allowed for goods to flow in both directions and established joint projects. Additionally, there were agreements between Aleppo and Gaziantep traders and at a meeting in 2009 they announced their intention to achieve five billion dollars worth of trade between the two countries. Jazmati believes that opening the road will have benefits for opposition areas in the northern Aleppo countryside and for regime areas because of the flourishing of trade and the legal entry of Turkish goods. However at the same time, he said that there were important steps that needed to be taken before opening the road, which was opening the roads between Turkey and opposition areas in the northern Aleppo countryside, because there were still difficulties in bringing goods to the northern countryside and Syrian traders in Turkey accessing it. Discussions on opening the road are not limited to its economic importance. Analysts say that opening the road is a new stage in the restoration of relations between Syria and Turkey. A member of the board of directors of the regime’s Economists Syndicate in the Aleppo countryside, Mohamed Bakour, said that the road would pave the way for the restoration of Syrian-Turkish economic relations, and pointed to the international desire to activate the international trade route from Syria. In this case more than one country who has an interest in marketing through Syria to other countries will benefit. But the economic benefit would be bigger for Turkey than Syria, according to Jazmati, because Syria does not export anything to Turkey because of its lack of production, which has turned the country into a consumer of goods and not a producer. Therefore the biggest beneficiaries will be traders who are exporting to Syria and sending their goods to regime areas. For the time being the benefit is larger for Turkey, but, in time that can change. Prior to the destabilization Syria and Turkey had a free trade agreement. The author is also not considering the sort of moral boost to Syrians that this road passage way can create. The regime’s benefit will only be moral, according to Jazmati, as its supporters will see the opening of the roads as a victory while the agreement is actually a Turkish-Russian agreement and not Turkish-Syrian agreement. Honestly, I think Syria has to be on board with this. Despite what the author is suggesting. I'm wondering if this move is being considered to kind of shut the SDF/YPG/PKK out of the potential economic benefits to be had? Israeli Missile Strikes on Homs Syria, Intercepted. A military source announced on Thursday that the Syrian Air defense intercepted a missile aggression on one of the Syrian military airbases in the central region. The source added that the air defense confronted a hostile rocket strike on one of the military airbase in the central region and prevented it from achieving its goals. The new aggression comes in coincidence with the successive continued defeats of terrorist organizations in front of the Syrian Arab army which fulfilled the purification of Damascus surroundings and forced the terrorists to hand over their weapons and get out of Homs and Hama countryside. “One of our military airports in the central region was exposed to a hostile missile attack, and our air defense systems confronted the attack and prevented it from achieving its aim,” SANA reported Thursday evening. The pro-Hezbollah Al Mayadeen outlet claimed that four missiles had been fired in the attack. Video footage of a Russian-made S-200 surface-to-air missile launching from a Syrian position was later released to social media networks, purportedly showing Syrian air defense units firing on Israeli fighter jets. Some Lebanese outlets claimed Israeli fighter jets had crossed over Lebanese airspace en route to Syria. An Israeli army spokeswoman refused to comment on whether the IDF was responsible for the explosions, Reuters reported. "A military air base in western Syria was hit in an airstrikes Thursday night, sparking large explosions, which were heard throughout the area, state media reported. “Six missiles were fired at the Daba’a military airport and surrounding area in the western sector of Homs province, targeting Lebanese Hezbollah weapons warehouses,” Rami Abd el-Rahman, director of the Observatory, told AFP." "U.S. Gave Jerusalem to Israel, Will Syria's Golan Heights Be Next?" Talked about this a few days ago. "Israel has been pressuring the U.S. to recognize its self-proclaimed ownership of the Golan Heights, a southwestern Syrian territory seized by Israel during a 1967 conflict and later annexed without international recognition. Israeli Intelligence Minister Israel Katz made the revelation in an interview with Reuters on Wednesday, saying such a follow-up to Washington's recognition of the disputed city of Jerusalem as the capital of Israel would likely come within the upcoming months. Katz said accepting Israeli control of the Golan Heights would target not only longtime foe Syrian President Bashar al-Assad, but also an even more powerful enemy: Iran. Israel has targeted Iranian and pro-Iran positions in Syria for years and Katz said President Donald Trump's recent decision to move the U.S. Embassy from Tel Aviv to Jerusalem and exit from the 2015 nuclear agreement meant it was "the perfect time" to escalate the administration's anti-Iran campaign. "The most painful response you can give the Iranians is to recognize Israel’s Golan sovereignty—with an American statement, a presidential proclamation, enshrined [in law]," he told Reuters. "You want to destroy [U.S. ally Israel], to generate attacks [against it]? Look, you got exactly the opposite." The aggression came less than 24 hours after the Syrian army and the allied forces thwarted a terrorist attack by Daesh on a number of military points in al-Mayadeen Badiya (Desert) in the countryside of Deir Ezzor; the army killed over 10 of the attacking terrorists, among them terrorists of foreign nationalities, injured scores others and destroyed a vehicle mounted by a heavy cannon. The Syrian government-run media blamed the strikes on the U.S.-led coalition fighting the Islamic State group. ABC does not link to an original source for their out of context quote. Though, I will add if the Pentagon has "no information" to substantiate the claim- They have no information to discount the claim either? We're left with SANA and SOHR both reporting the airstrikes occurred- both suggesting it was the coalition that was likely behind the strikes. As the Pentagon claims to have "no information"? Where we seem to have discrepancy on the two validating reports of airstrikes is on casualty counts- SANA reports only material damage. SOHR reports a number of fatalities. If anyone wonders why I don't express 100 percent confidence in RT's reporting? "Overnight reports on US-led coalition strikes on Syrian Army positions are not “consistent with the reality,” according to a military source. (Alleged in the headline to be Russian??) Earlier, the Pentagon said it has no information on the operation. The presence of the US contingent and its operations in Syria have not been sanctioned by either Damascus or the UN Security Council. The Syrian government has repeatedly called their presence an illegal aggression against a sovereign state"
I've often wondered if RT is the wolf in sheep's clothing? Nestled in southern Syria near the point where the edge of the Israeli occupied Golan Heights meets Jordan, the rebel-held town of Deraa has long been in the regime's sights. With the recent recapture of Eastern Ghouta and Yarmouk Palestinian camp on the edge of the Syrian capital, regime forces and their allies are looking to push south. However, the offensive has the potential to be the powder keg that sparks a major regional escalation. Israel has provided support for rebels and civilians on the border with the Golan Heights since at least 2013, (I'd say Israel was involved in 2011 and prior to that in preparation for the destabilization) treating them in their hospitals and providing weapons and other aid. After the United States ended a CIA-run program based in Jordan to support rebels in southern Syria in January, Israeli media reported that the Jewish state had increased aid to seven rebel groups in February. Past Israeli beneficiaries have included extremist groups, such as Al Qaeda’s former Syrian affiliate. Now, with the forces of Syrian president Bashar al-Assad beginning to mass in recent days and appearing to be preparing to start their push toward the southern border concerns are rising that the deployment of Tehran-backed forces could escalate the already tense standoff between Iran and Israel in the area. Iranian troops and Iranian-supported militia forces already play a key role in the Syrian government’s military capabilities. Yazid Sayegh, senior fellow at Carnegie Middle East Center, told The National that he wasn’t sure if the offensive in the south was about to begin. However, he said Israel and the US knew it would be difficult to dislodge Iranian forces despite their acute and general attempts to impact Tehran’s abilities to operate. “The Iranians, faced with the possibility of escalation with the US, are going to be manoeuvring to try and push back — they are engaging in a sort of test of wills to see where the red lines are in Syria, whether it’s a response to recent Israeli strikes or a reminder that Iran hasn’t been deterred and they have the means to escalate in the south," he said. “The Israelis probably know they can’t remove Iran from Syria fully — and probably what comes out of it is something halfway, a set of understandings worked out either through trial and error on the ground or with a bit of Russian negotiation,” Mr Sayegh said. It is unlikely, though, that Iran would seek a wider confrontation with Israel in Syria right now, said Hanin Ghaddar, a fellow at the Washington Institute for Near East Policy. Recall? March 30/2011: What role is this man, Fardi Ghadry, ready to play in Syria?? The (Israeli) government sent a message to Syrian President Bashar Assad in recent days, warning him that if he started a war with the Jewish state in order to divert attention from domestic problems, Israel will target him personally, Kuwaiti newspaper Al-Jarida reported on Tuesday. Israel has been involved from the get go! The Age of Economic Warfare Begins. Will It Lead to a Conventional War? This was not my intended post for today, however, it was one that really needed much more attention. For the reasons that will be explained below. This is a news story that you are most probably completely unaware of. I stumbled across it quite accidentally. The perpetrator and the victim are not quite ‘push the agenda’ right. The news below fits none of our commonly presented concepts- so it’s not been pushed onto our global awareness. There’s no hashtag to spread the news via twitter. No facebook outrage. And very limited news coverage. You’ll understand why soon enough. The incident occurred in Ireland. Not Pakistan. The perpetrator is a beast. Clearly a liar. Probably a psychopath. In my opinion the perp is, without a doubt, a sick psychopath. Victim- Mark van Dongen (left) Male, white. A fashion student has been jailed for life and ordered to serve a minimum of 12 years in prison for throwing acid over her former partner, who later died by euthanasia, in “an act of pure evil”. Berlinah Wallace, 48, poured sulphuric acid over face of Mark van Dongen, 29, was he slept in her flat in Westbury Park, Bristol at 3am on September 23 in 2015. She laughed and told the engineer: “If I can’t have you, no-one can,” before calmly chatting to an ex-boyfriend on the phone as Mr van Dongen fled in agony. The graduate was left in a coma for four months, suffered extensive burns to his body, was left blind in one eye, paralysed from the neck down and had to have his lower left leg amputated. He suffered 15 months of excruciating pain before dying by euthanasia at a hospital in Belgium on January 2 2017. Wallace was acquitted of murder but convicted of throwing a corrosive substance with intent following a four-week trial at Bristol Crown Court. Mrs Justice Nicola Davies described how Wallace bought a litre of 98% concentrated sulphuric acid on September 2 2015 after Mr van Dongen left her for another woman. She viewed 82 websites about sulphuric acid – including post-mortem images – and came up with her defence based on a court case of a man accused of tricking his partner into drinking it. “You chose your moment for the attack,” the judge told Wallace, who remained emotionless. “It occurred when Mark van Dongen, wearing only boxer shorts, was asleep in the bed which you had shared in your flat"
Your intention was to burn, disfigure and disable Mark van Dongen so that he would not be attractive to any other woman. It was an act of pure evil. “Vulnerable, almost naked, he awoke but had no real opportunity to avoid the focus of your acid attack, namely his face and then his body. “Nothing better demonstrates your malicious and callous intention than your refusal to provide any help, even when Mark was screaming in pain,” the judge said. Mr van Dongen suffered burns to two thirds of his face, a large percentage of his upper chest, arms and upper thighs – with 25% of his body affected. A consultant at Southmead Hospital, where Mr van Dongen was taken after neighbours called 999, said he had never seen a patient with such extensive injuries following a chemical attack. The judge said Wallace had told “lie after lie” about a man who had been unable to defend himself. Mr van Dongen told colleagues and his father that he was “scared” of Wallace, who had previously poured boiling water over him and scratched him. “He was right to be so because he had some idea of what you were capable of,” the judge said. Speaking outside court, Mr van Dongen’s father said Wallace’s actions had “completely ruined” his family’s lives. "In the early hours of May 10, a day after the US withdrawal from the Joint Comprehensive Plan of Action (JCPOA), Israel launched a missile attack on “Iranian military facilities” in Syria, allegedly to punish the Islamic Revolutionary Guard Corps (IRGC) for having fired 20 missiles at Israeli military positions. This happened in the Golan Heights area, where, to believe the Israelis, some elements of Iran’s Al-Quds unit are deployed. The attack killed a number of Syrians. During the period of hostilities, the Israeli military launched over 100 strikes at the Iranian contingent in Syria, which cooperates with the Russian force. But Moscow never retaliated against Israel, nor even criticized it, although occasionally Russian military equipment that had been sold to Iran came under fire. Following this serious event, there were media reports that the Middle East was on the verge of war. The Israeli Defense Minister, Avigdor Lieberman, made a more restrained statement to the effect that Israel was not seeking to escalate tensions. “I hope we finished this chapter and everyone got the message,” he said. Although countries like Israel and Saudi Arabia are dreaming of escalating their confrontation with Iran in order to open the gate to war, they want it to be fought by the United States and are unwilling to become involved directly. Israel has the bitter experience of waging (and losing) a war in Lebanon from 1982 to 2000; Saudi Arabia is facing a similar failure in Yemen. Despite their resolute efforts, Israel, the US and Saudi Arabia are in a deadlock, being unable to change the balance of power in Lebanon against Iran and its ally, Hezbollah, for the last 36 years." Where is the conflict headed? "All of this is occurring against the background of Trump’s withdrawal from the nuclear deal, under which Iran has halted its nuclear program in exchange for a reduction in sanctions. The Iranians have been fully complying with the JCPOA, but this did not stop Donald Trump from walking away from the nuclear agreement with Iran. Despite the best efforts of the Iranians to convince the rest of the world that they are faithfully adhering to the 2015 agreement, the JCPOA itself is now on life support, if not dead already. And, of course, the Iranians realize that the EU, no matter how “angry and humiliated,” will hardly be able to withstand Trump’s pressure. According to deputy head of the IRGC, Hossein Salami, the Europeans are powerless to save the deal. Although the EU is going out of its way to show – particularly in the days immediately after Trump’s announcement – that they are not America’s “vassals” and will continue to implement the deal, that they are even ready to challenge the US unilateral sanctions against Iran at the WTO, etc., this looks increasingly utopian"
"Just look at what has happened only recently. A Danish shipping company, Maersk, has declared that it will not berth merchant ships at the Iranian coast in the Gulf and has already stopped sending ships to Iran; Merkel has stated that her government will not be able to compensate damage to German companies, which will come under US sanctions because of their cooperation with Iran; Macron has declared that France “has no intention to engage in a trade war with the United States.” Total, the biggest French oil and gas company, has announced that it intends to withdraw from its project with Iran unless supported by the EU and granted a special waiver from the US. All of this suggests just one conclusion: the Iranian economy will continue to be strongly affected because international banks and companies will in every way seek to avoid US sanctions"
"Note, too, that oil prices surged immediately in the wake of these events (both Trump’s statement at 9 pm on May 8 and the exchange of missile strikes in the early hours of May 10). It certainly cannot be overlooked that there are speculators who will benefit from Iran’s isolation from the European markets. Given the US withdrawal from the nuclear deal, the way of presenting Iranian missile strikes on Israel is also aimed at creating a negative image of Iran as an extension of Trump’s statements. Right now, it cannot be predicted how the conflict will develop, for this depends on domestic politics in Iran and the country’s ability to manage relations with the international community. Still, as I see it, there will be no military conflict in the near future. First, the age of economic warfare has begun. After Iraq, it will be very hard to convince the US legislators and Americans in general that military operations are required. The US has grown fond of sanctions as an alternative. If we take the worst-case scenario and assume that Tel Aviv and Riyadh will pressure the unpredictable Trump into war or that this will happen because of a miscalculation similar to one that led the US to plunge Iraq into chaos, it is clear that strikes on select facilities is the only possibility. But what comes after that? Of course, any outcome will affect the Iranian economy, hitting ordinary citizens the hardest. Who would have predicted such a subversion of orientalist expectations? It is not Iran’s reliability but the reliability of its Western partners that is in question. The Europeans should think how to oppose the US rather than cave in to the pressure. They should revise their priorities in light of the history of their relations with the US and Iran in the 21st century, during which time the United States has imposed policies on the EU that benefitted itself in exchange for bolstering the economically vulnerable European bloc. Iran maintains hope for partners like Russia and China, but regrettably this strategic triangle is unable to reshape the entire system of international relations. 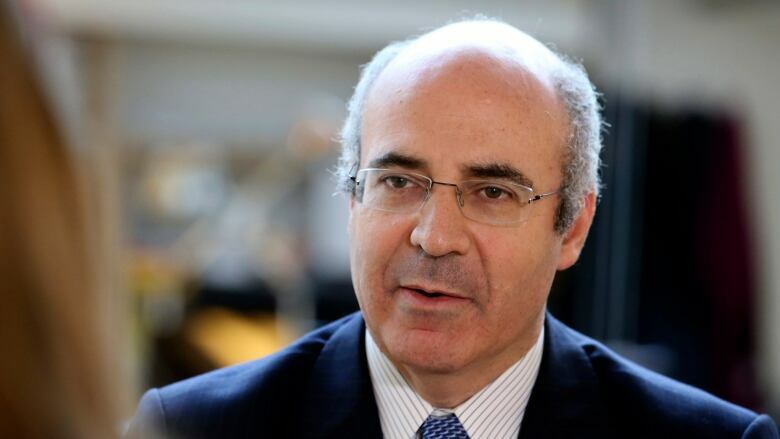 Besides, Russia and China are interested in advancing their interests outside of their alliance with Iran. 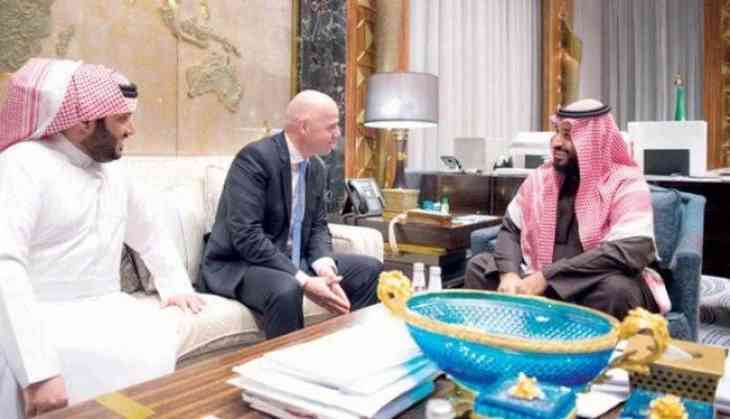 For example, the next day after Netanyahu’s latest visit to Moscow, Moscow backed off its intention to sell to Syria or deploy there its S-300 systems and thus protect it from further air attacks." "It is clear that Iran will continue to promote its interests internationally in the same way. But it is still an open question whether or not it will change its priorities. It is quite probable that the countries with ongoing nuclear programs will soon pool efforts to create a mechanism to contain US political and economic pressure. At the same time, it would be fair to assume that Iran will continue with its good-neighbor foreign policy, using the tools of cultural diplomacy to cultivate and maintain real allies in the fight against US hegemony"
Coming hot on the heels of the inflammatory embassy move to Jerusalem this type of recognition would simply 'up the game' in the region. (PT) A member of Congress has urged the US to recognize Syria’s Golan Heights as an Israeli territory after Washington's relocation of its embassy to Jerusalem al-Quds last week. Republican Representative Ron DeSantis said in an interview published on Israel’s Walla news website on Sunday that he had brought the proposal before the House Foreign Affairs Committee, of which he is a member. DeSantis also said the proposal is a natural follow-up to the US embassy’s relocation from Tel Aviv to Jerusalem al-Quds last Monday. He noted that as the embassy move would help take Jerusalem al-Quds off the negotiating table, the US recognition of Israel’s claim to the Golan would clarify it has no intention of forcing Tel Aviv to relinquish the territory. Bnei Yehuda, an Israeli settlement built in the occupied Syrian territory, southern Golan Heights. 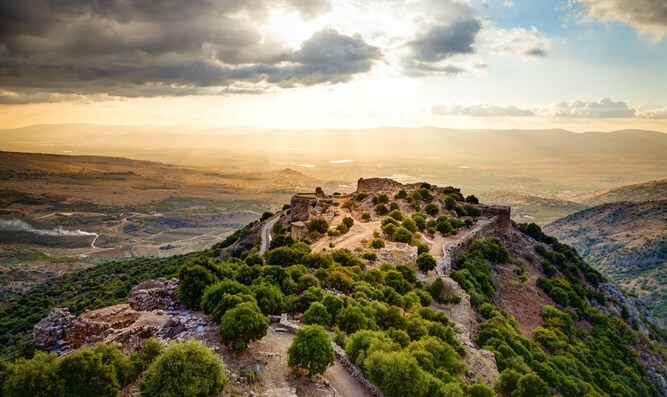 (AS) According to a report by the Washington Free Beacon Thursday, the proposal describes the Golan Heights as an “integral part” of Israel, and recognizes that it is “crucial” for Israel to retain the strategically important area overlooking the Sea of Galilee.